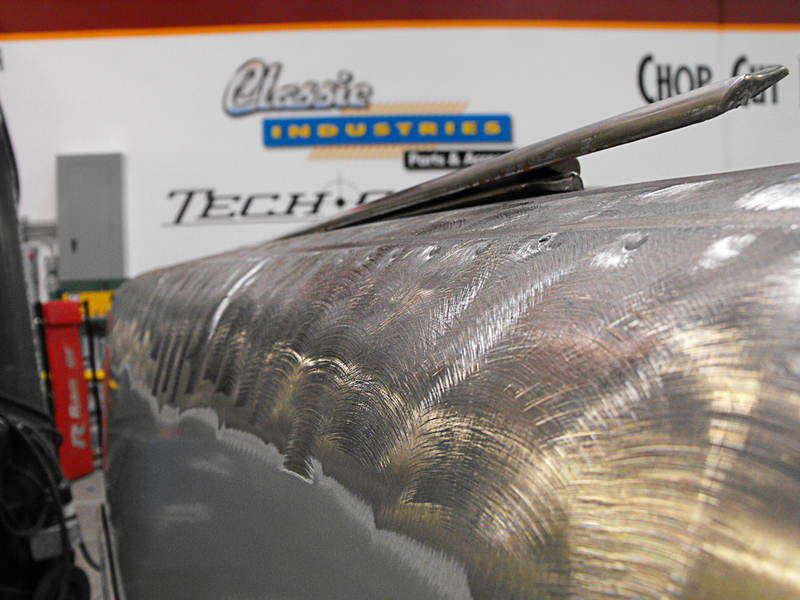 Sneak Peek: Classic Industries prepares its ’56 Convertible Bel Air for SEMA 2012. Fall has arrived. Leaves are turning colors, pumpkin-spiced coffee is back in stores, and car manufacturers and tuners alike are preparing their wildest creations for the Specialty Equipment Market Association trade show– enthusiasts know it better as SEMA, traditionally held the first week of November. SEMA brings some of the most important and influential automotive companies together in one place. 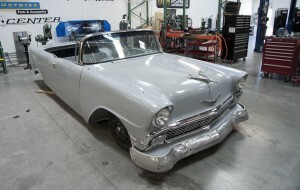 Classic Industries is no exception, preparing their ’56 Convertible Bel Air “Open Air” for its appearance at the show. We have been covering the progress of Open Air over the last few months and we are excited to share exclusive photos from Classic Industries’ progress, showing Open Air finally painted. Check out the gallery below for more photos. Television programs like Car Warriors, Overhaulin’ and, indeed, Chop, Cut, Rebuild make their trade by romanticizing the build of a vehicle. Usually conducted in five steps – acquiring a vehicle, tearing it apart, rebuilding with new parts, dropping a crate engine in, and turning the key – it seems to take no time to build a custom vehicle. We reported earlier on step four of this process, when Classic Industries dropped an LSA V8 into their ’56 Bel Air dubbed “Open Air”. But the unprecedented access that Classic Industries and Chop, Cut, Rebuild has given us to Open Air’s progress shows us that even cars built by the magic of television are not without their share of tedious, mundane work. It isn’t wasted effort, though; the work put into Open Air will result in a show car of exceptional craftsmanship. ”Black Widow.” The name itself struck fear into the hearts of many during the heyday of stock car and drag racing. Born for the 1957 competition year, these unassuming Chevy 150s became the ire of many opponents straight from its inception. The 150s were officially built by SEDCO (the Southern Engineering and Development Company), a subsidiary of Nally Chevrolet of Atlanta. But the company was just a shell for Chevrolet’s factory racing program. If there ever was an example of a factory-bred hare-in-tortoise’s clothing, the Black Widow is it. Q-Car. Wolf-in-sheep’s-clothes. Sleeper. Whatever you choose to call these cars, there is no denying the allure of an inconspicuous vehicle hiding a potent powerplant. From the Black Widow ’57 Chevy to the modern Cadillac CTS-V station wagon, the formula has remained the same: shoehorn the most powerful engine, transmission and axle into a package that can be mistaken for any other errand-running machine. 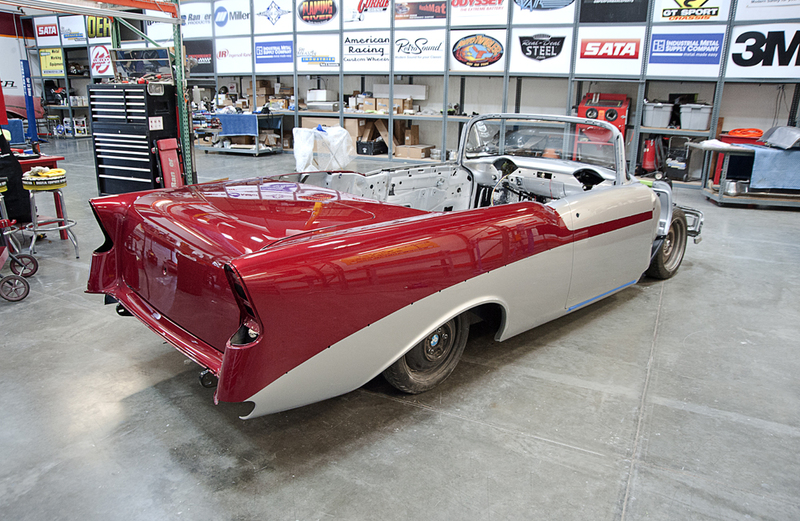 A few weeks ago, we brought you news that Classic Industries was building the very first brand-new ’56 Bel Air convertible since that same year. We are back with some updates on their build, dubbed “Open Air.” It seems Classic’s been burning the candle at both ends with this build. The last time we had seen it, the Real Deal Steel body and Art Morrison frame had just met. It now sits primed and ready for the custom bodywork required of such a build. 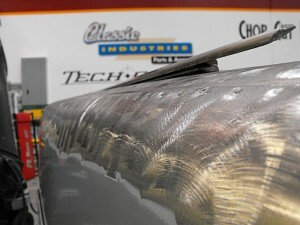 We are eager to see the full build on Chop, Cut, Rebuild when it premieres on SpeedTV. Open Air has come a long way.